We will release our newest report, 2019 Healthcare Provider Analytics Market Trends Report, in the next few days. This report reviews the current market for provider analytics and evaluates offerings from 23 different vendors. Value-based care is the dominant business driver for adoption of analytics solutions by providers. Reports and dashboards are still the main way that users experience and benefit from analytics technologies. Advanced analytics capabilities are seeing increased interest, but mostly from large HCOs. Deriving actionable plans from the data that goes into analytics solutions remains a challenge. In recent years, providers invested in analytics technology to support the transition from fee-for-service (FFS) to val­ue-based care (VBC). Vendor offerings that support the variety of pay-for-performance (P4P), pay-for-reporting (P4R), and risk-sharing programs with payers have helped them better understand the interaction of costs, quality, and utilization in the populations they serve. But the applica­tions for analytics are broader than just VBC. Provider healthcare organizations (HCOs) are seeking to leverage these technologies more broadly to support a range of clinical, financial, and operational performance improvement goals and programs. Provider-oriented analytics availability mirrors EHR penetration. Providers in acute and ambulatory settings have many choices for analytics across multiple use cases. Providers in post-acute settings and others with low EHR penetration have relatively fewer choices. While vendors have devised a number of ways to extend their offerings to underserved settings, not all providers take full advantage of such capabilities. EHR vendors are often, but not always, providers’ first choice for analytics. Most EHR vendors sell analytics offerings almost exclusively to their existing EHR customers. Independent vendors – not owned by an EHR vendor or a payer – are a strong alternative to EHR companies for value-based care use cases. Claims analytics companies have deep experience with claims data sources or rely heavily on claims-related data to fuel analytics and reporting. Applications from many of these vendors emphasize cost and utilization control and feature deeply descriptive insights into risks, costs, quality, and utilization. Providers have historically been reluctant to adopt these offerings, but that is changing. This report characterizes current analytics solutions as either “mainstream” or “advanced.” Most HCOs have experience with mainstream analytics – often cloud-hosted and reliant on relational databases that store historical data from the EHR, claims, and other sources. The resulting applications characterize and summarize performance along multiple dimensions. While this technology approach is well-established, mainstream analytics still faces challenges. Chief among these are data quality and variability. Diligence is required on the part of vendors and HCOs to ensure this data is accurate, high-quality, and up-to-date. Data complexity challenges are only increasing because new data sources are on the horizon. The All of Us program (formerly known as the Precision Medicine Initiative) promises to unleash a torrent of novel and voluminous data types. In addition, the vast trove of unstructured data in EHRs will soon contribute to a better understanding of patient cohorts and risks. Social determinants of health (SDoH), data from smart health monitoring and fitness devices, and a variety of patient-reported and publicly-available data sets are also beginning to be used in provider analytics. Mainstream analytics has yet to supply a variety of predictive and prescriptive insights; for that, HCOs are looking at advanced analytics. Advanced analytics consists of interrelated technologies, the most common of which are artificial intelligence (AI)/machine learning (ML), natural language processing (NLP) and extraction, and big data technologies. These technologies and techniques are not widely deployed in healthcare, but are used to varying degrees by most of the vendors profiled in this report. The expectation is that as these technologies mature, advanced analytics will offer more and better predictive and prescriptive capabilities. Many vendors now offer optional services to help providers take better advantage of advanced analytics technologies. Increased organizational familiarity with AI technologies and algorithms should naturally increase user trust as the technologies mature and become more widespread. Many provider organizations, with experience gained from their VBC efforts, want more benefits from analytics. Whether it is from their legacy point and departmental reporting solutions, mainstream, or advanced analytics, provider organizations see analytics and reporting as a reliable way to pursue performance improvement goals across their enterprises. Prior Authorization is often viewed as the poster child for throwing the Quadruple Aim off balance with its pursuit of cost reduction at the expense of provider experience, but my latest research for Chilmark Research shows that new PA models and maturing PA technology solutions could benefit both providers and payers. Traditionally, primitive PA and its associated impacts account for the great divide in provider-payer relationships. The sheer volume of PA requirements is getting increasingly more onerous for providers, as payers attempt to stem cost pressures. Provider PA and payer PA suffer from redundant processes and staffing, burdening the industry with administrative costs in excess of $1 billion annually – despite significant opportunity to use technology to automate and alleviate the burden. 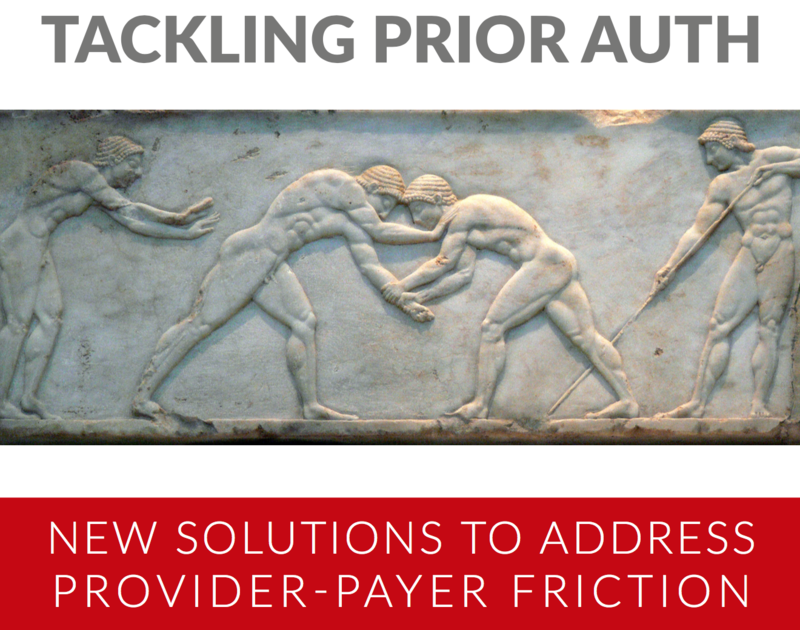 My latest report, Tackling Prior Auth: New Solutions to Address Provider-Payer Friction, provides an assessment of new PA technology coming into the market, along with a detailed look at specific vendors. The report identifies prior authorization market trends, challenges encountered, and includes a specific focus on provider-payer convergence in this market segment. The conclusion offers projections of the future market trajectory for PA technology and vendors, as well as recommendations for providers when evaluating PA solutions. PA solutions are on the cusp of a breakout moment, partially driven by both the growing adoption of value-based care (VBC) arrangements, as well as sophistication of new enabling technologies, including APIs, NLP, and AI. A new PA model is emerging that promises to deliver mutually beneficial results for providers and payers with far less pain, better integrating CDS, claims, and order workflows at the point of care. With the dubious honor of being one of the thorniest pain points in provider-payer collaboration, and sitting at the start of the revenue cycle, PA is a logical starting point to establish greater provider-payer convergence. Chilmark Research projects that this new evolution in PA technology will serve as a petri dish for greater forms of convergence that will then spread to other VBC strategies. Providers and payers will be challenged to step outside past perceptions surrounding the PA process, to look with enthusiasm upon new solutions in the market for innovation to improve results, building new levels of trust in the process. We project that progressive convergence of provider and payer UM proficiencies and technologies will transform the entire PA function over the next 5 years. How is PA evolving for providers and payers alike, given the growing expansion of VBC adoption? What is the current state of pharmacy and medical PA technology and process? Who is innovating in this space to improve the provider-payer experience and clinical and cost outcomes? What should healthcare organizations (HCOs) consider as they decide on a solution? Where do significant gaps remain that HCOs will struggle to fill? Anyone interested in better understanding how both providers and payers can differentiate with automated PA, how such automation will increase mutual success with VBC arrangements, as well as evaluation criteria for specific vendor solutions, will gain strategic insight from reading Tackling Prior Auth: New Solutions to Address Provider-Payer Friction. HCOs, payers, healthcare IT vendors, consultants, investors, patient advocates, and others will also benefit from this in-depth research report. There will be a free webinar on the subject this afternoon at 1pm ET, which you can register for here. The move to Value Based Care (VBC) is changing the relationships that pharma has historically had with both payers and providers. The growing chronic disease burden, rise of digital health and commoditization of many drug-disease areas is forcing a rethinking of the underlying pharmaceutical (pharma) business model. The Medicine-as-a-Service or “Beyond the Pill” paradigm is likely to play a major part in future pharma business models and one of the key differentiators in the marketplace will be the analytics offerings that pharma companies develop with their partners in “owning the disease” across the value chain including drugs, disease/care management platforms, and both patient and clinician engagement. One of the key drivers shaping the future of pharma analytics is the growing emphasis on cost-effectiveness data for pharma products. The days are gone where minor modifications to molecules will pass muster for providers and payers without demonstration of substantial therapeutic gains. In the future, providers and payers will increasingly demand pharma to provide data to support their needs to contain costs while improving outcomes. 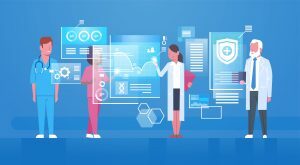 The lack of interoperability between healthcare applications has long been decried in white papers and by blue ribbon panels. Efforts to define the problem and spur action keep piling up. Just in the past year, several organizations loudly bemoaned the state of the art. For example, in March 2014, the General Accounting Office (GAO) criticized the Department of Health and Human Services (HHS) for not setting goals and a timetable for better interoperability. The eHealth Initiative announced an “eHealth Initiative 2020 Roadmap,” a public-private collaborative intended to fully transform our healthcare system by the year 2020.” These pronouncements mostly echoed past findings.